This article describes some theory and the associated decision process towards my final choice of a flashlight for mammal watching; in my opinion the best compromise of weight, usability and high illuminance at a reasonable cost. Although opinions as to the optimum product will be personal, the information presented should be useful to anybody looking to purchase. What Type of Flashlight to Buy? The flashlight market offers a huge range of items ranging from the very small to the very large and in a variety of types. Realistically, for mammal watching only the HID (high intensity discharge) or the LED (light emitting diode) types are suitable and the vast majority of flashlights are less than excellent, in many cases poor, and often with overstated performance specifications. My 25W Xenide flashlight (Allsman Enterprises: www.aelight.com) served me well for a few years until the bulb ceased to fire up as inevitably happens sooner or later with HID lights. The cost of a replacement bulb from the USA was $110 plus shipping, VAT, and a tax collection fee. Knowing that these bulbs have a finite life anyway, their slow warm up time to full brightness – ca. 10 seconds, and having only one brightness level available, it looked as if it was time to discard the Xenide and move to an LED solution. The market is full of flashlights claiming ever higher and higher outputs in Lumens; some of the quoted figures are true or nearly so but many are erroneous and much higher than actually achieved. The frequently specified output in Lumens is a measure of luminous flux, the total amount of light emitted from a source. Flashlight outputs range typically from a few hundred to several thousand Lumens. Depending on the construction of a flashlight, the total flux may be distributed over a larger or smaller area as a function of the beam pattern. Rather more useful for assessing the performance of a mammal watching flashlight is a specification for the ‘illuminance‘ achieved in terms of the quantity of Lumens falling on a given area. Unfortunately, such a specification not always quoted by the manufacturers but a figure expressed in Candela, if given, provides a good indication of illuminance. This specification is an important one; it is the beam pattern that makes a large contribution to a good mammal watching flashlight. Broadly speaking, flashlights can be designed to illuminate a wide area (in the USA sometimes called a ‘flooder‘) or with a narrow beam to concentrate on a small area (in the USA sometimes called a ‘thrower‘). It is quite easy to produce a flood beam but considerably more difficult to produce a well defined narrow beam. The classic theoretical parallel beam is achieved by using a point source of radiation at the focal point of a parabolic reflector. In practice, many flashlight reflectors are not truly parabolic and a wider beam pattern is the result. In addition, no light source in a flashlight is a true point source. With HID units, light is emitted from a fair part of the bulb; LED units are better in that the source is still quite small, even with higher wattage types. The limiting factor with LED emitters is that as the power increases, it becomes much more difficult to remove the heat produced. Contrary to popular belief LEDs are not indestructible and if they are used at elevated temperatures for longer periods, their performance will degrade. All higher output flashlights have to provide some form of heat sinking, usually extensive finning around the head of the light and with matt black anodising of the aluminium case as this is a better radiator of heat. One trick used by several manufacturers is to combine several individual LEDs into one flashlight head. This greatly increases the output and the amount of light delivered but in order to keep the item down to reasonable dimensions, each reflector is necessarily far from the ideal shape and the overall beam can be diffuse. Thankfully, a good number of manufacturers specify the beam angle of their products. Opinions will differ as to what is the best solution, but for me it was to find as tightly defined a beam pattern as possible, accepting that even then, there would be a certain proportion of light emitted over a wider angle. That meant a flashlight using only a single LED, therefore less Lumens than would be available than from a multiple LED unit but with a correspondingly higher illuminance on the target. A few notes on batteries. Most of these flashlights utilise 18650 type lithium-ion cells. These are widely available but come in an equally wide spectrum of quality. To obtain the best performance from these flashlights, high performance cells are required – ones capable of considerable current dumping capacity. The cheaper alternatives will more than likely not work as well, have a shorter life span and may in extreme cases blow up with catastrophic consequences; you will have seen the pictures. Likewise, a reliable and correctly matched charger is essential. Lithium-ion cells hate being deep discharged and most, if not all reliably produced flashlights will contain circuitry to indicate and/or prevent the voltage from dropping too low, turning the light down or off. As a belt and braces precaution, you might source the type of 18650s where each battery has its own built-in semiconductor to prevent deep discharge – so called ‘protected‘ cells. I am using Olight [www.olightworld.com] 3.6V HDC (high discharge current) cells rated at 3500mAh, 12.6Wh and capable of a 10A discharge current, but other similar batteries are available. Apart from the information on the manufacturers’ web sites, an Internet search will bring up a number of mostly USA based YouTube video clips in which very enthusiastic users purchase and compare flashlights. Some of these merely illuminate various objects in the dark but others go as far as measuring luminous intensity and provide real data. At any rate, these sources are useful when trying to choose a flashlight. For me, the Thrunite TN42 came a close second on performance, value for money and on paper at least, it puts down the highest luminous intensity of the flashlights listed. 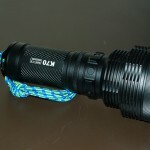 The Nitecore TM38 Lite is also very well specified although costly. 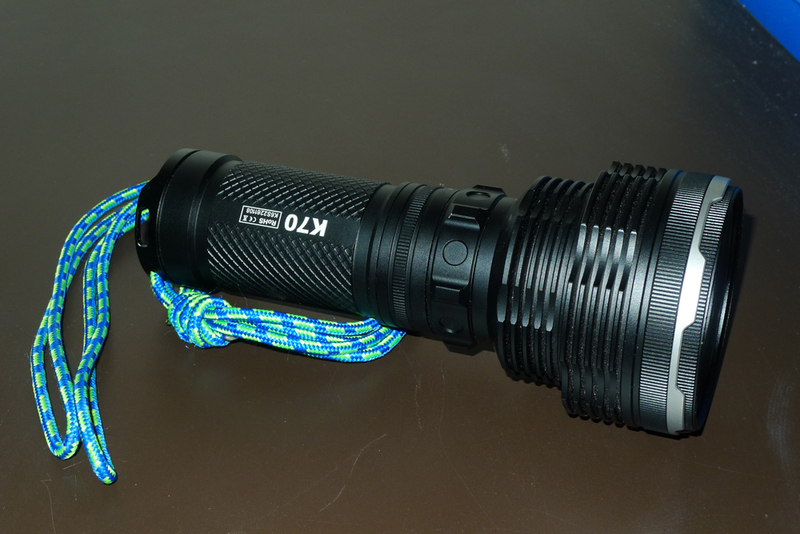 However, in the end, it was the Acebeam K70 that I purchased. Not that it would have mattered had one of the other products been better, it was also one of the lower cost options. A key benefit of this flashlight over all the others is the magnetic ring brightness switching. Rather than having sequentially to half-press a button on the side or end of the light, the ring is rotated – clockwise to increase the brightness and anti-clockwise to decrease it – and it can be done using only one hand. This arrangement suits me but others may find the button alternative equally acceptable. The ring switch means that when you switch on the light using the end button, you can have pre-selected the brightness in advance. This is of considerable benefit on the lucky occasions where you are close to the target and do not wish accidentally to blind it or frighten it off with too much light. Most of the sequential button switching flashlights hold in memory the previous brightness setting so it is not as easy to pre-select a given level. The other (unique?) feature of the Acebeam K70 is the availability of filters. These come in red, green or translucent and screw into the head of the flashlight. 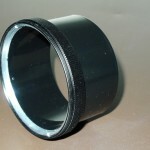 In contrast to some cheaper filters, the glass appears to be tinted rather than surface coated with a colour film; this makes it much more durable in use. When in a group with the usual poor levels of fieldcraft and lights flashing around everywhere, the use of the red filter is limited. However, on your own or in well disciplined company, it is a useful tool, albeit the filter induces some beam spread. 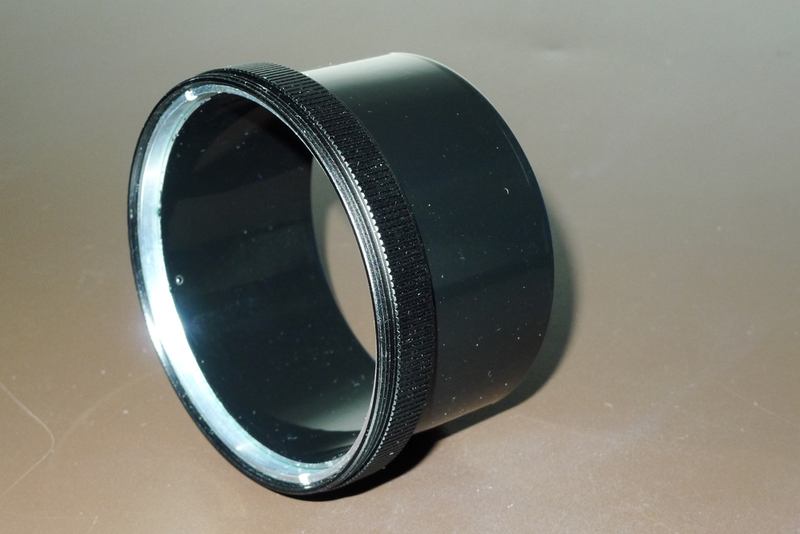 The translucent filter is just a piece of ground glass which diffuses the beam. With the K70 wound up to high power, there is plenty of light for detecting eyeshine at night; the advantage being that a wide area can be illuminated at once from a moving vehicle with far less ‘painting‘ of the search area. If there is a downside, it is that the filters take a good 15 seconds to screw in or out when changing them. Even with its narrow 5° beam angle, the Acebeam K70 exhibits some side spilling of light which interferes with night vision and also illuminates to some extent the operator or others in a group. I have made a modification which mitigates this effect by taking a filter, removing from it the coloured glass, then machining a short length (about 1½“) of 3“Ø x 16 s.w.g. aluminium tube to fit back into the filter holder. The tube is powder coated black and matt black spray painted on the inside to absorb rather than reflect light. Screwed onto the flashlight head as you would the filter, this reduces the side spilt light without affecting significantly the light thrown forward. Like almost every other similar product these days, the Acebeam K70 is manufactured in China and the build quality is very good. It has been used in several countries and a variety of situations, consistently out-performing flashlights used by others present. So far it has not given any problems and has produced no unpleasant surprises. A number of nocturnal mammals who might have thought they were safely beyond view have been spotted and I regard the purchase as having been well worth it. There remains the difficulty that at the time of writing, there is no UK outlet for this product. The Acebeam K70 is available on mail order very easily from more than one source in the USA where shipping to any mainland location is usually f.o.c. Ordering for UK delivery will of course attract shipping, VAT and a tax collection fee. If you can find a way of having any of these flashlights delivered to a USA address and you subsequently go over there, you may bring it back into the UK quite legally within your maximum allowance of goods (£390 at the time of writing). The usual disclaimers apply. I have no connection with any of the manufacturers mentioned in this article and do not stand to gain in any way from my comments or recommendations. I believe all that I have said here to be factually correct, but readers should check carefully on specifications and other data before purchasing and I apologise for any errors. One of the UK’s best, and hardest to see, mammals in my opinion. The Acebeam K70 is available on Amazon for £170. At least for German speakers, there are informative fora of flashlight enthusiasts, like taschenlampen-forum.de. They include practical photos of objects illuminated by different flashlights. I guess similar websites exist in English language, too. And no, I didn’t know there can be such a thing as enthusiast of flashlights, much less a group of them, until I found that site by chance. One practical parameter you are looking for is “throw” or distance to which the flashlight illuminates objects.